Sharone Freed came across Colourfence when looking for a fencing solution for his own home. After researching Colourfence as a customer, he became so impressed with the product and people that he decided to buy a Colourfence franchise! 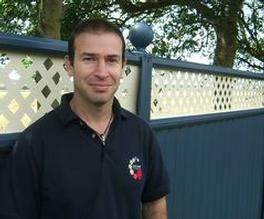 Colourfence recently appointed new Franchise Development Manager, Steve Tarbard. Steve, who brings 30 years’ franchise experience with him, joins the Colourfence team, based in Newport, South Wales. Looking for a new career that ticks all your boxes? As a smart investor, it makes sense to seek out an ethical franchise opportunity which offers you a tried-and-tested business model, an exclusive product offering, and a thriving market. Colourfence tick all these boxes…and more! Not only do we distribute and install a unique ‘fit and forget’ boundary fencing with a 25-year guarantee – a product that requires no maintenance and can withstand gusts of wind up to 103mph – but we work within a niche market with no other competitors! Colourfence was first developed in Australia where, for decades, it has sold under the highly-reputed ‘Colorbond’ brand; chosen by nearly 50% of Australian homeowners. One of the many reasons for our success is that our product is virtually maintenance-free as it doesn’t age, spoil or need replacing. With the lightweight Colorbond steel fences manufactured here in the UK, we are offering an exceptional product to an untapped market. And we're proud that this is a product manufactured here in Britain! The Colourfence product and service is perfect for the UK audience, who are renowned for their love of homes and gardens! Since offering our services here, we have received the RHS Gold Award and voted as one of the BBC Gardening’s Top Ten products. Such accolades and steady stream of customers attest to our fences' quality and resilience. With such a highly reputed product, Colourfence fences are in demand and franchisees can offer their services to any establishment or home which requires a boundary: a garden, a play area, a school, a caravan, a car yard, commercial premises… the list goes on. The good news is that the total investment of a Colourfence franchise is c£40,000* which covers training, on-going support, and all you need to build a thriving business. 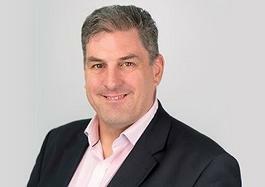 The total investment includes a one-off franchise fee of £19,995 + VAT (which is reclaimable) and approximately half of the total investment is your working capital – which means there are no huge upfront fees to wipe out your savings. As a home-based franchise, you don’t have to worry about office costs or additional overheads eating into your profit. Lastly, it may surprise you that Colourfence’s management service fees are just 2% of your turnover – or a minimum of £160 per month. *Don’t forget that banks can often lend up to 50-70% of the total investment depending upon your financial history! Franchisees who commit themselves fully to the business from the outset hit the ground running. Andy & Shelley Stewart from Somerset, sold £26,000 in their first month. They went on to sell £200,000 in their first year, a quarter-of-a-million pounds the following year and over £300,000 the year after that. Their average gross profit is 50%. Not bad for a sub-£20k franchise! As a member of the British Franchise Association we are an accredited franchise business and adhere to all area of ethical franchising. Therefore, unlike some customers who choose Colourfence to maintain their privacy, we are completely transparent. We are so confident in our business model and franchise system we encourage interested parties to contact any of our franchisees to get an inside perspective. Colourfence attracts franchise partners from all walks of life; from first-time investors to seasoned entrepreneurs. Very few have experience in this industry and the vast majority have never dreamt of starting a fencing business… however, success speaks for itself. Our franchisees are our UK distributors – therefore, we will only recruit the right partners to ensure nationwide success. With each franchise partner we work tirelessly to help them succeed every step of the way. If that sounds like your sort of franchise partnership, then we would love to hear from you. By filling in the form below you will be able to download a copy of the Colourfence prospectus.